Home / Blog / A universal message of love? Is it true, asks Sufi poet Hafiz, that it is our destiny to turn into light itself? 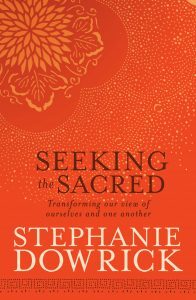 In this talk, filmed at Pitt Street Uniting Church on 18 December 2011, Dr Stephanie Dowrick talks at depth about the “unconditional welcome of love”so tragically often missed or forgotten in conventional religious thinking. Supporting this, she offers – as an interfaith teacher and minister – a quite radical view on the life and teachings of Jesus of Nazareth. The talk concludes with an exquisite reading from Rabbi Isaac Kook. You can hear the second part of this talk on the 2nd video> We thank Brad Harris for his work in videoing these talks and posting them on YouTube. We thank you for join us in learning more from love. Previous Previous post: Happy Christmas to Universal Heart Network!